Did you know… | Kris + Books = Good. *Sometimes*. 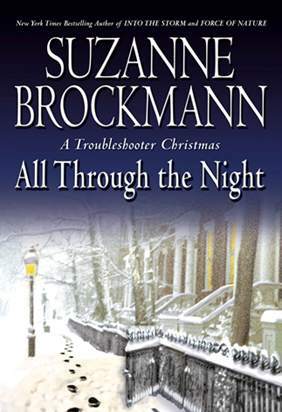 … that the latest in Suzanne Brockmann’s Troubleshooter series, All Through the Night, features Jules and Robin (*sigh*)?? A waterfall coming through their kitchen ceiling, a bat colony in the attic, old family tensions…even an international incident can’t dampen their spirits. But add to that a parade of unexpected guests, including a reporter looking for a scoop, an ex-lover hell-bent on causing trouble, and a dangerous stalker, and suddenly the wedding is poised to unravel in chaos. I’m sure that there were a few tears and lots of cheers at the end of that book so if you want the real HEA for these two… buy All Through the Night NOW! On top of enjoying Jules and Robin’s sweet romance, you will have the bonus of knowing that portion of the money you spend will be going to MassEquality, an organisation dedicated to preserving equal marriage to which Suzanne Brockmann has decided to donate all money earned from the proceeds of this book. If you don’t get that everyone should have the right to marry the person they love, then reading the Author’s Note for a mother’s perspective might help you gain a better understanding. This entry was posted in book pimpage, m/m, Suzanne Brockmann. Bookmark the permalink. Oh I loved this book! )Luckily I got if from the library so I didn’t have to pay for the hard cover! )Have you read Into the Fire? So good. But I love all her books. No, I haven't read 'Into the Fire' – how the heck did I miss this one? *must immediately contact tame romance bookstore and order it in*I really like her too. I have an outsider's fascination for all things US Seals and FBI-y so this series is right up my alley; not to mention all the great h & h's and action-packed storylines!